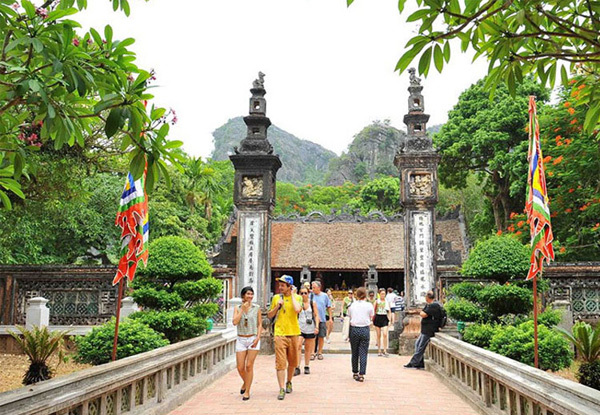 Drop your worries off at the airport gate and focus on exploring everything Vietnam has to offer. 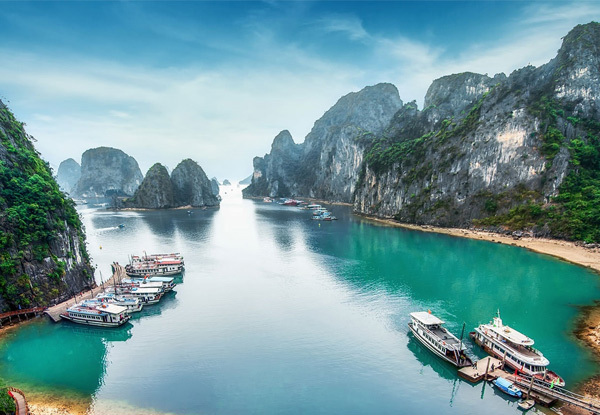 This five-day tour will give you a glimpse into the Vietnam ways by exploring on the Sea Life Legend Cruises through Lan Ha Bay and Ha Long Bay. 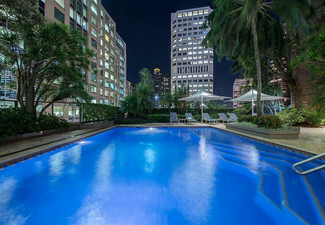 Booking essential and must be made before 30th of October 2019 for travel from now until 30th December 2019. 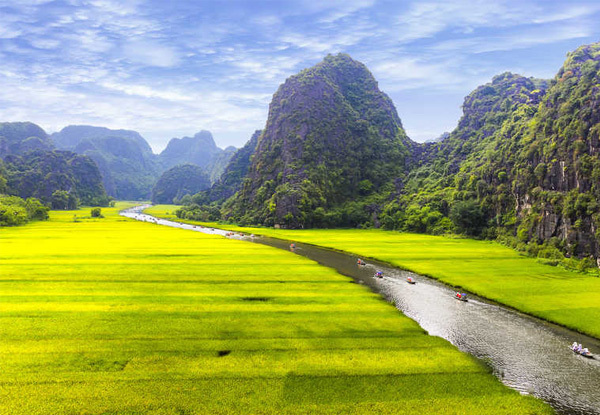 Grab a per-person twin-share five-day luxury Northern Vietnam tour for $625 from Halong Booking Tours. 9.00am you are picked up from the hotel lobby and the welcomed aboard the Sealife Group Lounge with a welcome drink. 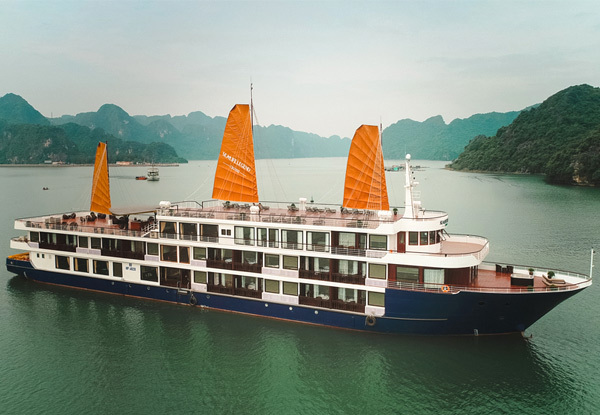 Lunch will be served at the Fish Net Restaurant next the Sealife Legend Cruise goes to Lan Ha Bay by passing Ha Long Bay where you will pass the majestic limestones rising from the emerald sea water. Next, you will cruise to Van Ta Area is inclusive of Dark and Bright Cave, the border of Halong Bay and Lan Ha Bay, and it is one of the less visited and most intriguing caves in Halong and Lan Ha Bay. And Sealife Legend Cruises invite you to visit Bright Cave by bamboo boat rowed by local people through some floating houses where they are feeding fishes, clams and oysters. After rowing boat trip, you have the chance to kayak or swim in the green emerald water. Return to the deck and enjoy a rejuvenating jacuzzi, sauna, gym and cooking demonstration whilst being serenaded by a live Pilipino band before falling asleep on the cruise. Very short transfer to the Cat Ba World Biosphere Reserve after exploring you will have another short transfer from Gia Luan port to HoaCuong Cave by Sealife Legend Cruises. Lastly, you will bus to visit the cave with beautiful stalagmites and stalactites, located in the World Biosphere Reserve. You will enjoy a buffet at the Fish Net Restaurant before disembarking the ship and checking into your hotel in Hanoi. 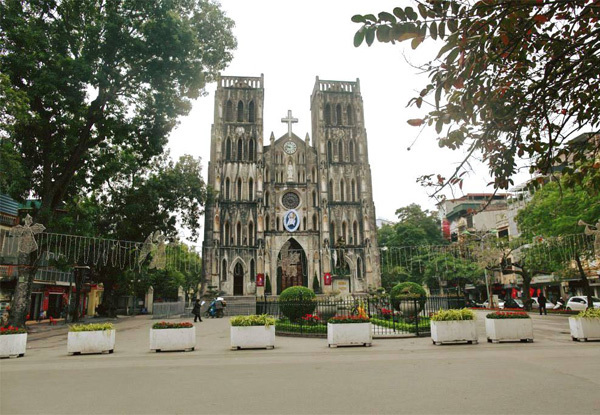 Drive to Ninh Binh Province and arrive at Hoa Lu Ancient Capital. 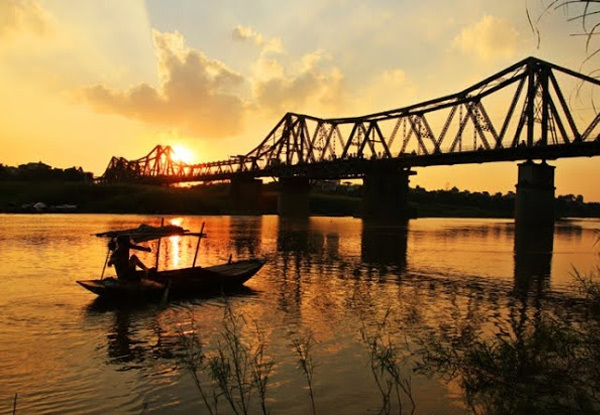 Amongst arriving you will visit the King Dinh and King Le's temples before devouring a Vietnamese cuisine. After lunch, you will take sampan boats through the caves, visit the beautiful countryside landscape before heading back to Tam Coc wharf to chill out; before being dropped off back at the hotel. Sadly the travelling life comes to an end today you will enjoy your last breakfast at the hotel then check out of your hotel. Warm clothes need to be packed during November to February check weather here. Bookings essential. Subject to availability. International flights not included. Valid until 30th December 2019. Must be used in 1 visit. Deal valid for one person on a twin share basis i.e. two vouchers must be purchased at this price. Single supplement surcharge of $450 applies, payable direct to merchant. 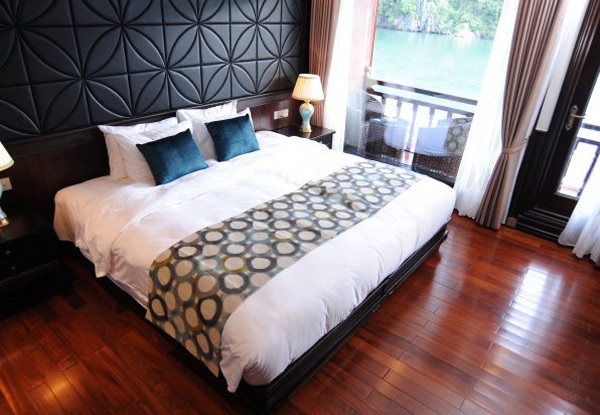 Includes: Airport transfer into Hanoi two ways by private car, Transportation with A/C Hanoi-Lan Ha Bay- Hanoi, Hanoi- Hoa Lu Tam Coc- Hanoi, English speaking guide during Halong Bay- Lan Ha Bay tour, Hoa Lu Tam Coc Tour, Kayaking in Lan Ha Bay, meals as mentioned, entrance fees as mentioned, 3 nights accommodation in Hanoi 4-star (Silk Queen Grand Hotel- premium deluxe double twin share), overnight on Sealife Legend Cruises 5-star cruise (Legend Suite cabin, double/twin share), insurance on boat, complimentary bottles of water, welcome drink at the hotel and on board. 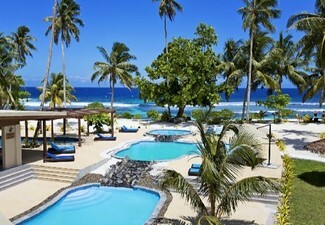 Excludes flights, visas, travel insurance & anything not specifically mentioned in the itinerary. Visas are the responsibility of the traveller. Travel insurance recommended. 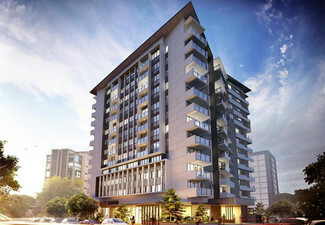 Value of deal is based on current rates, which are subject to change. Refund available from GrabOne within 48 hours of purchase if specific dates are not available once you have received the GrabOne email confirming your purchase, this purchase is not refundable unless required by law. No cashback. Not to be used with other offers.